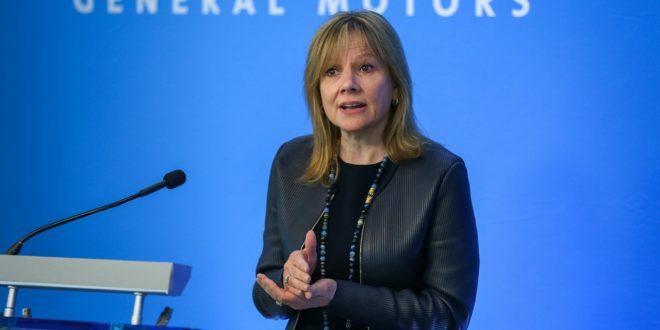 General Motors CEO Mary Barra will reportedly meet with U.S lawmakers this week to discuss the company’s recent announcement it will close five plants and shed about 15,000 workers. The meeting will take place at Capital Hill. According to Reuters Barra will meet with lawmakers from Michigan and Ohio, two states impacted the most by GM’s recent announcement it will no longer allocate products to its Lordstown, Ohio and Detroit-Hamtramck plants. Barra is also expected to meet with Congressional leadership to discuss its restructuring announcement more broadly. GM has come under fire from both political parties and President Donald Trump since their announced restructuring. Not only is the company under scrutiny for the planned layoffs, but also how their handling the layoffs. As of now GM nor Congressional leadership is commenting on the planned meeting. GM will end production at three vehicle assembly plants in 2019, which will end production of the Buick LaCrosse, Cadillac CT6, Cadillac XTS, Chevrolet Cruze, Chevrolet Impala and Chevrolet Volt. The automaker will also suspend production at two component assembly plants that produce transmissions.